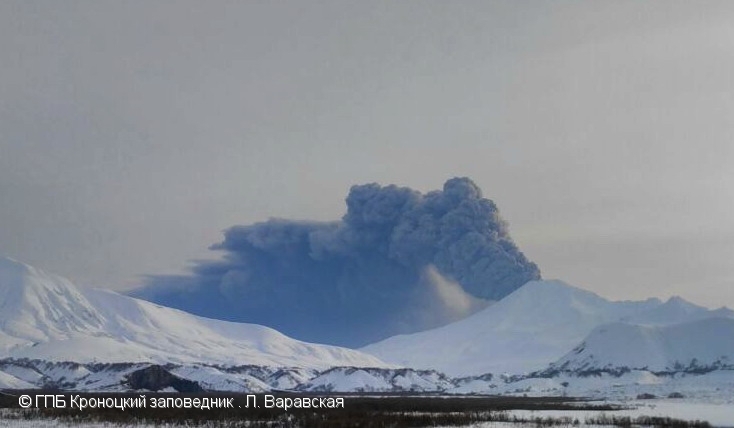 Explosions sent ash up to 7-8 km a.s.l. 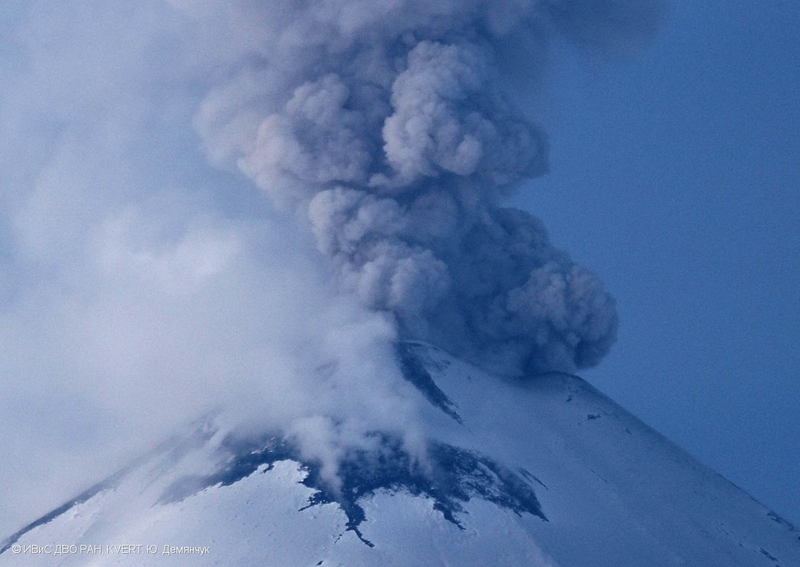 on May 24, 2017. 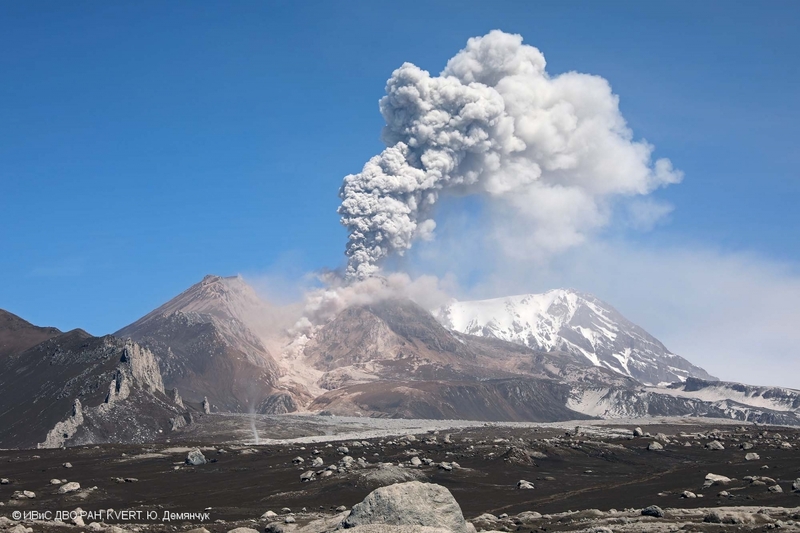 Explosive event at Ebeko volcano on 23 May, 2017. 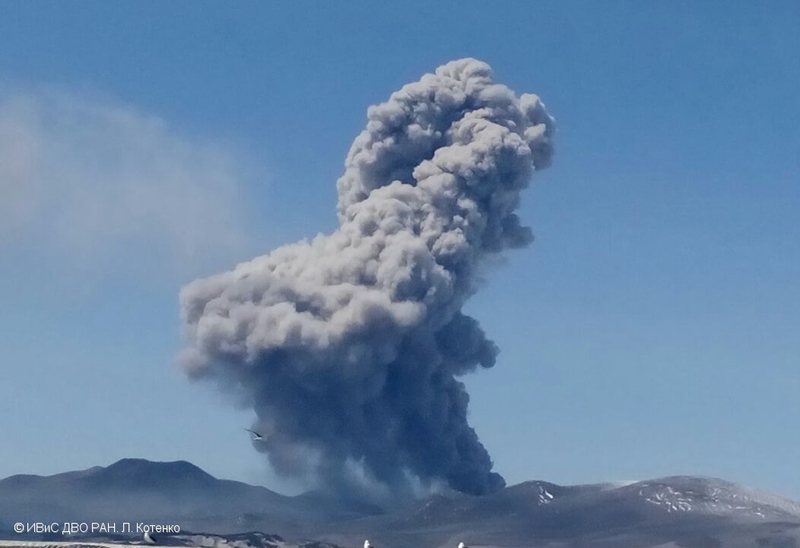 Explosive event at Ebeko volcano on 15 May, 2017. 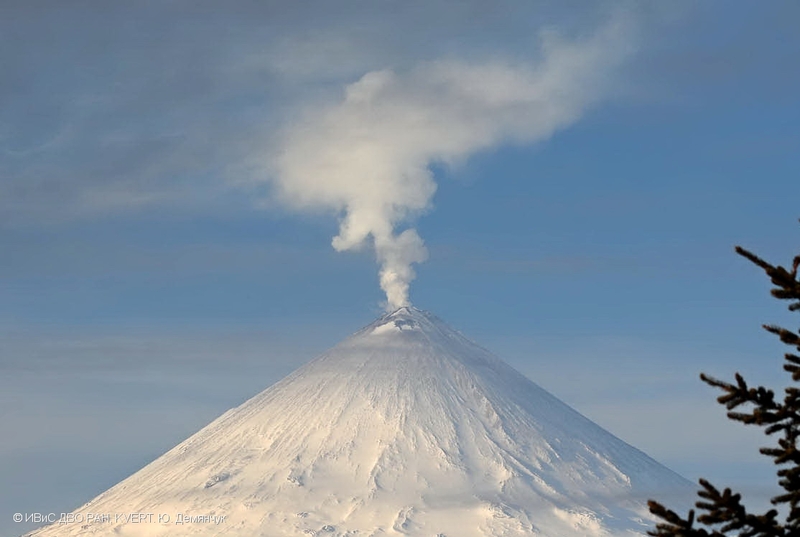 State of Priemysh crater of Zhupanovsky volcano on 25 April, 2017. 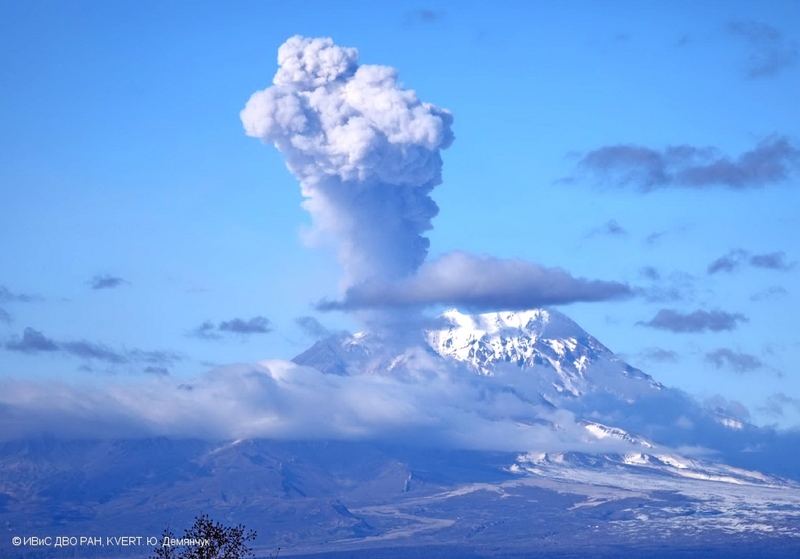 Explosions sent ash simultaneously from Active and Middle craters of Ebeko volcano on 15 April, 2017. 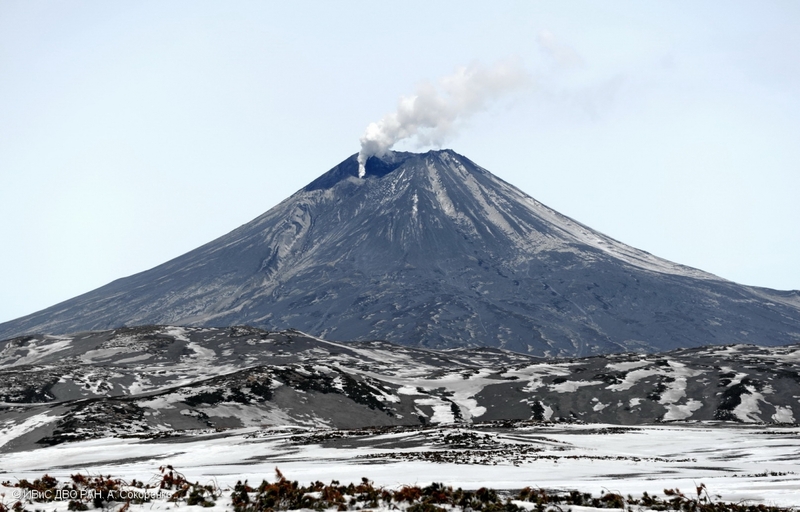 A gas-steam activity of Kambalny volcano on 12 April, 2017. 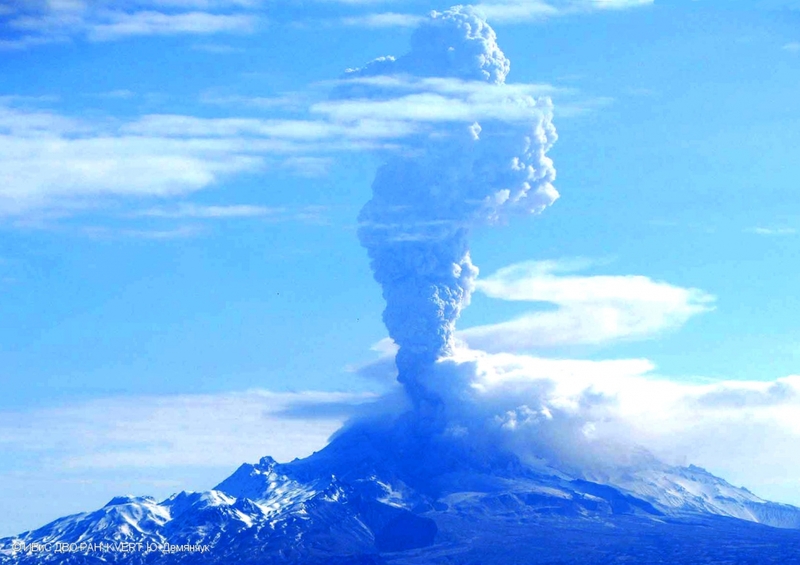 A view from the south. 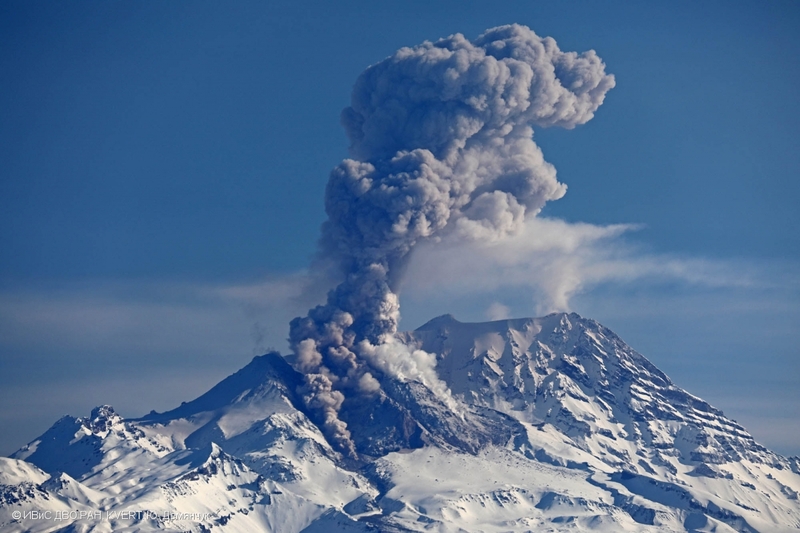 Explosions sent ash up to 6 km a.s.l. 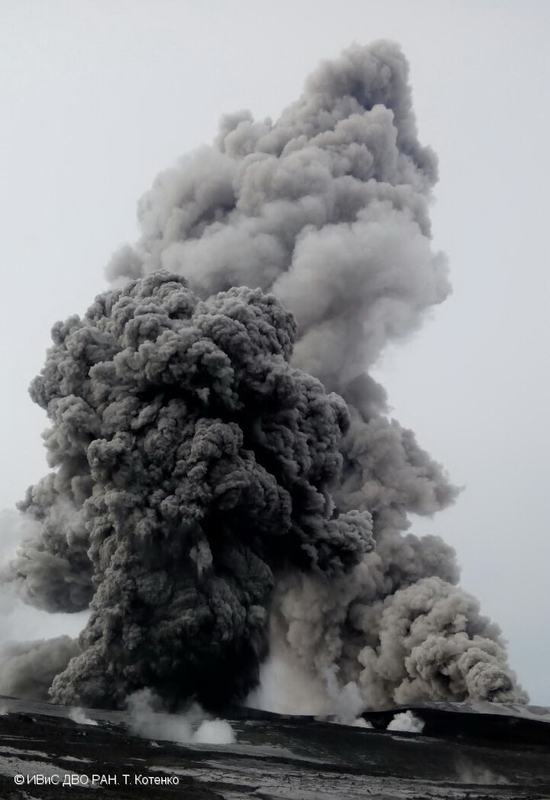 on 10 April, 2017. 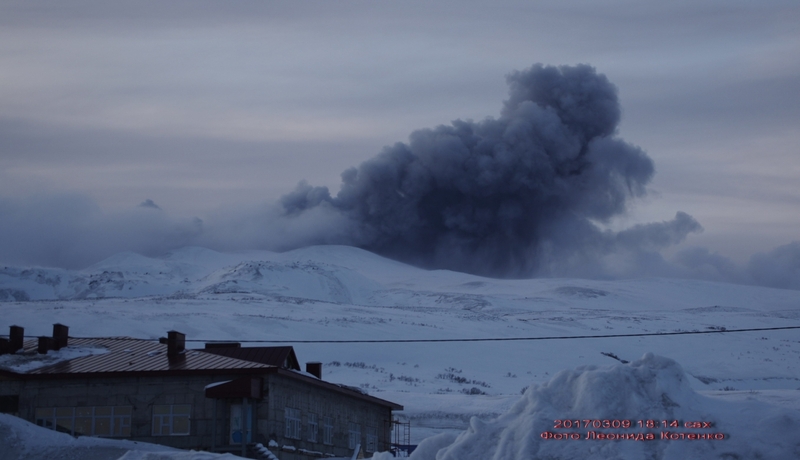 Explosive event at Ebeko volcano on 09 April, 2017. 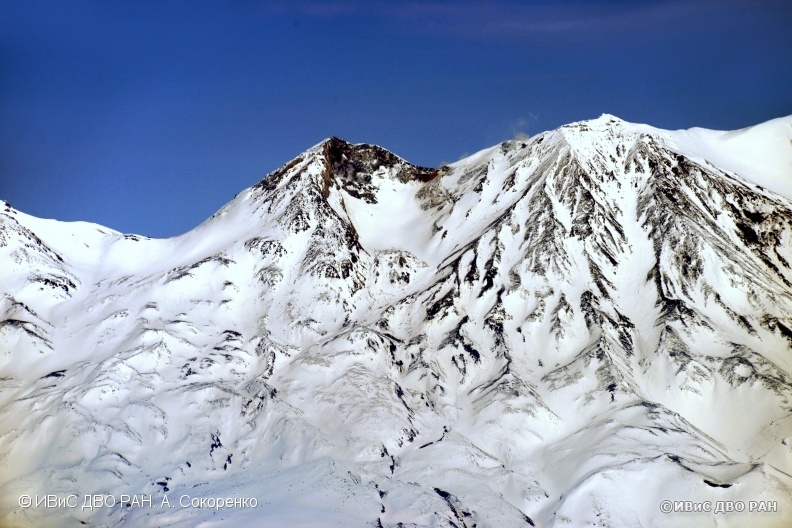 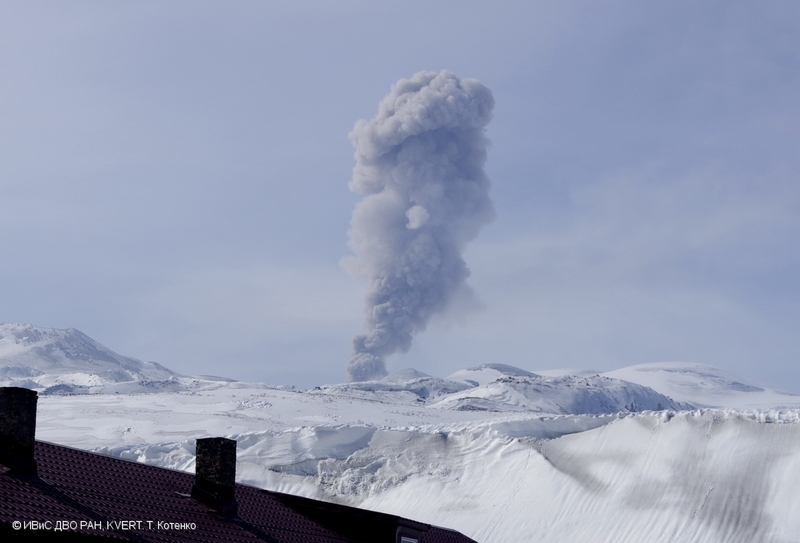 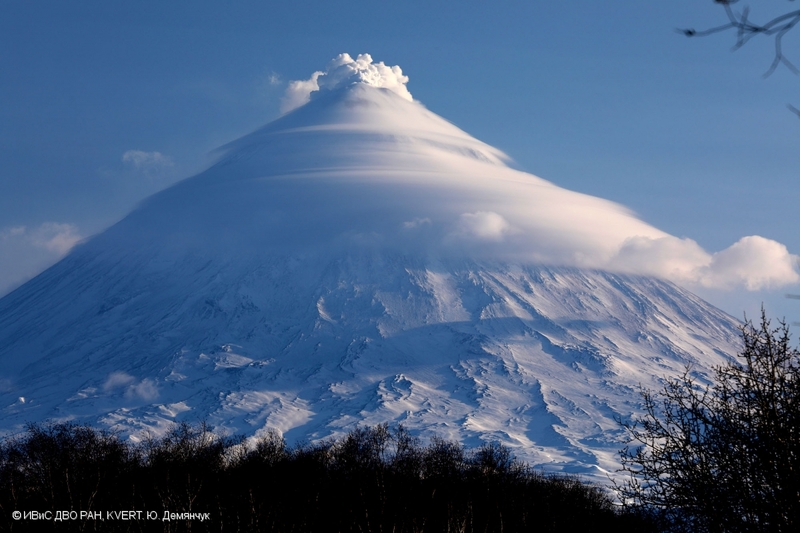 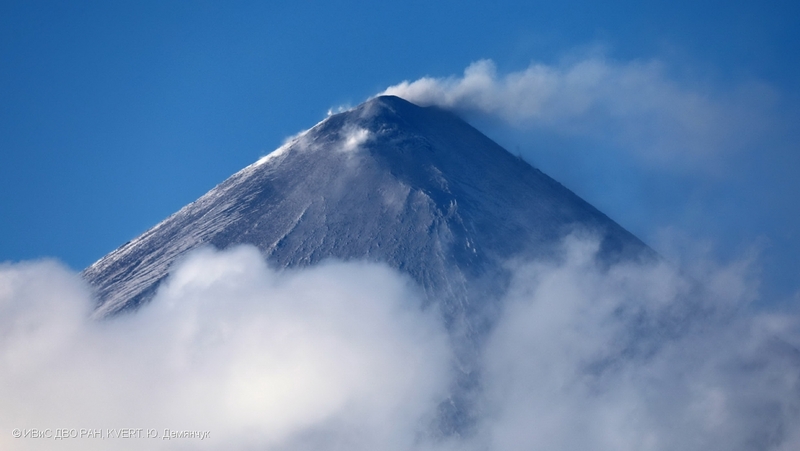 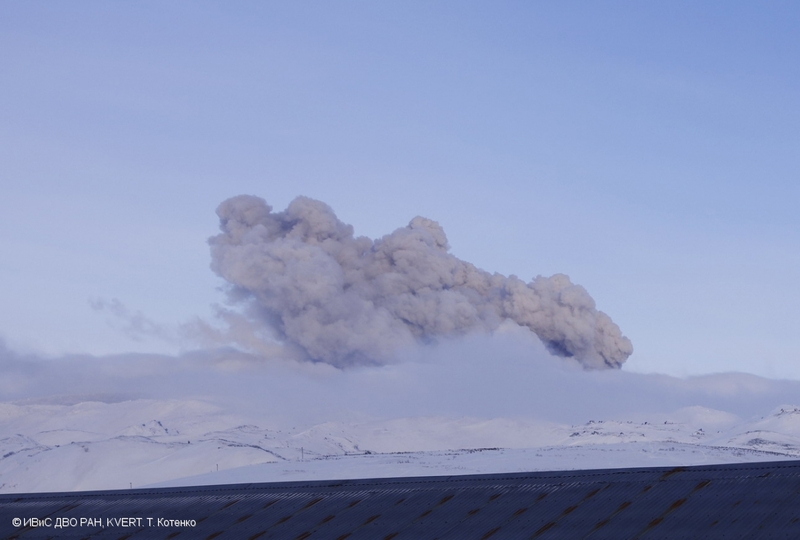 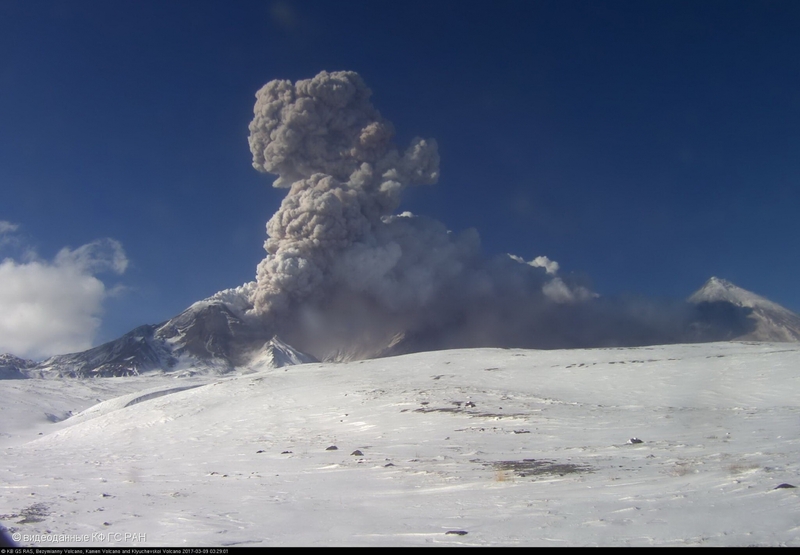 Explosive eruption of Kambalny volcano continues. 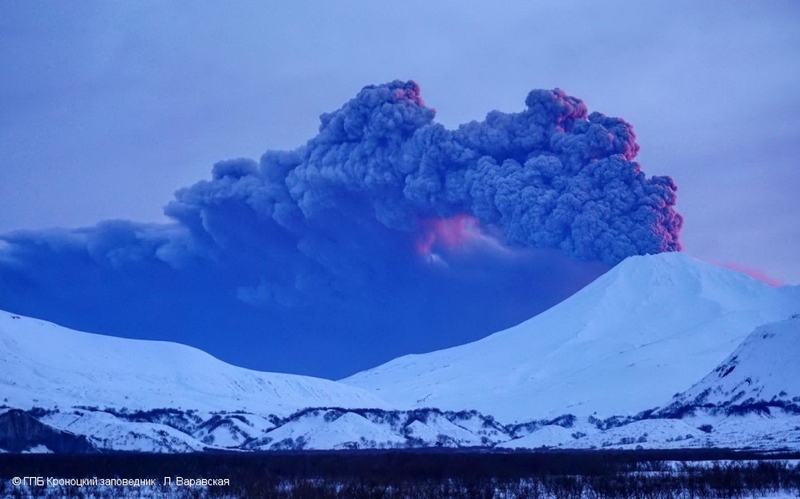 Strong ash plume of the volcano at sunset on 26 March, 2017. 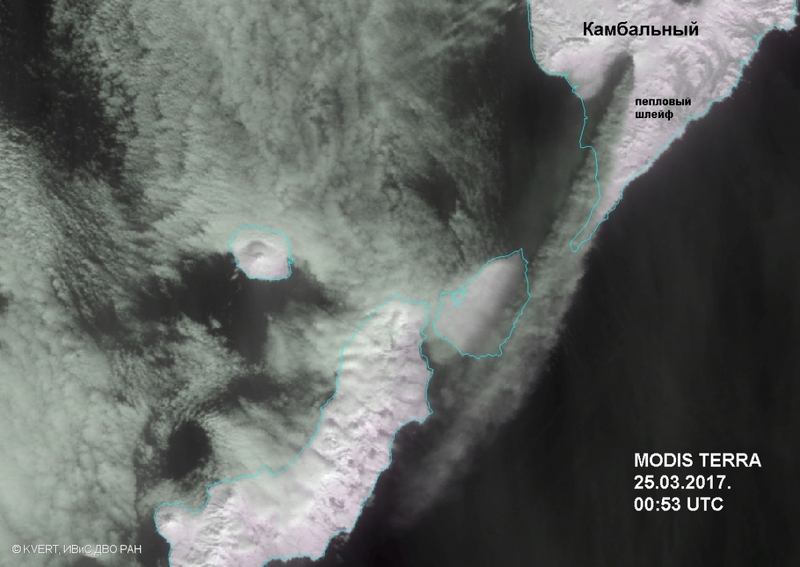 Ash plume for about 100 km to the south-west from Kambalny volcano. 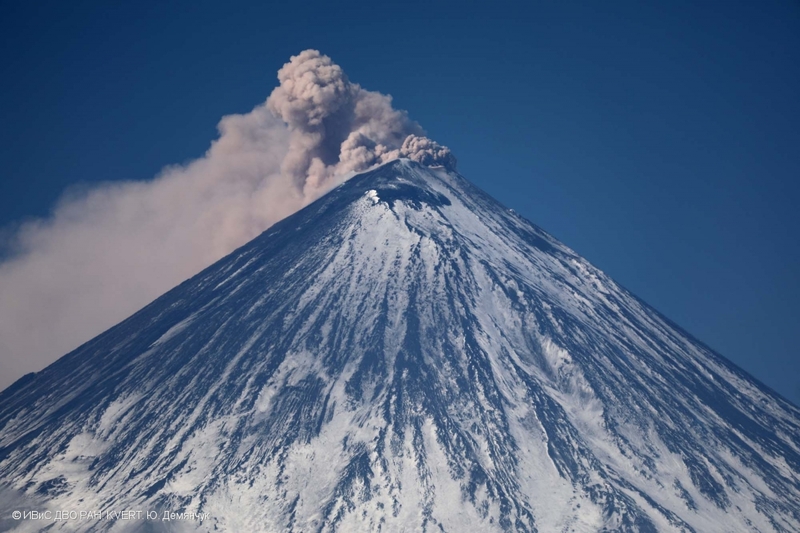 Strong ash plume of Kambalny volcano on 25 March, 2017. 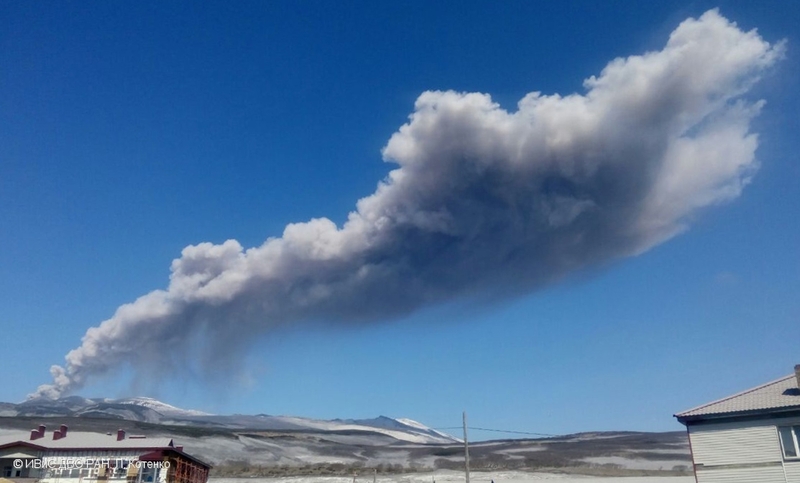 Ash burst from Ebeko volcano on 24 March, 2017. 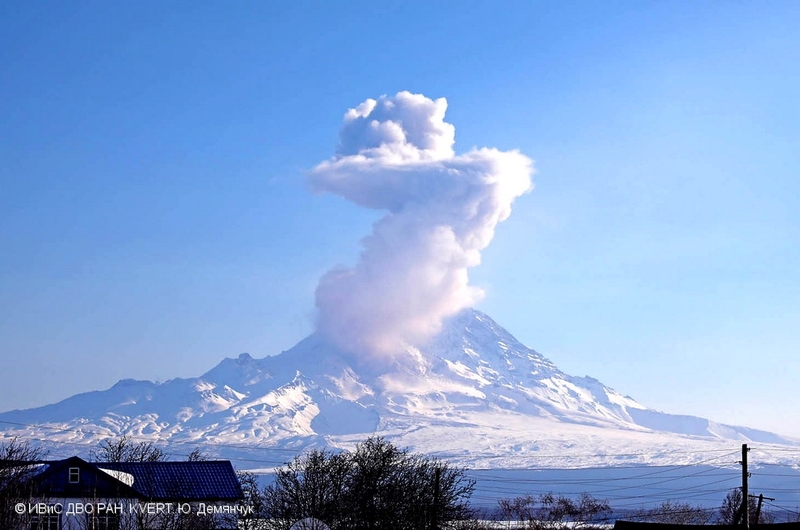 Explosive eruption of Bezymianny volcano on 09 March 2017. 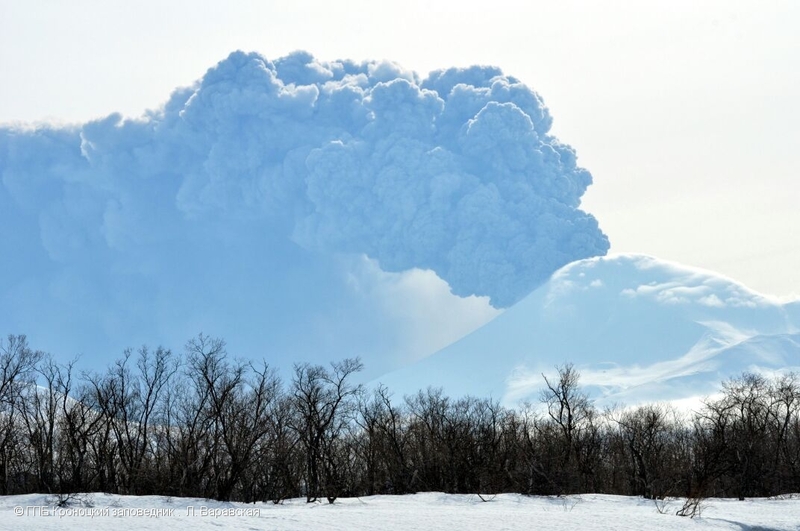 Explosive activity of Ebeko volcano on 09 March, 2017.